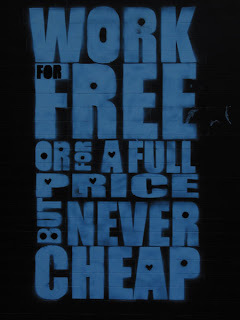 Work for free of for a full price but never cheap. 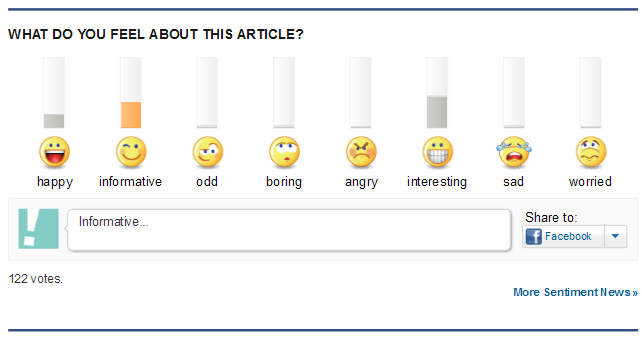 Yahoo Canada is taking into account the sentiments its readers feel when they read their news. The section entitled What do you feel about this article? invites the readers to categorize it into the following categories: happy, informative, odd, boring, angry, interesting, sad, and worried. Each feeling is illustrated with a Smiley and clarified by one word. 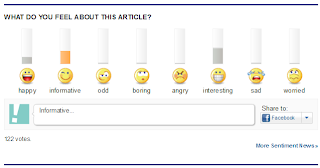 The readers can fill their opinion and share it on the social medias (Facebook and Twitter), then browse the news according to the shared feelings. The jQuery Validation plugin is a very powerful plugin aimed at form validation. Among its main features, you can create your own validating methods. In that example, we will check a French phone number against the international format. French phone numbers are made of ten digits, starting with 0 (zero), grouped by two and usually separated by dots or spaces (e.g. : 01 23 45 67 89). In the international format, the country code for France (33) prefixes the actual phone number, and the first digit is set between parenthesis. For a better readability, we use the space character as separator (e.g. : 33 (0)1 23 45 67 89). With the Google translate API closing down as a free service on December 1, 2011 and its version 2 already implemented as a paid service, it is a good time to check what the concurrence has to propose.